Finally, there is a cutlery choice to suit every man. No longer will the waiter at your local Chinese fix you with an emasculating sneer as they ask you "do you want a fork?" 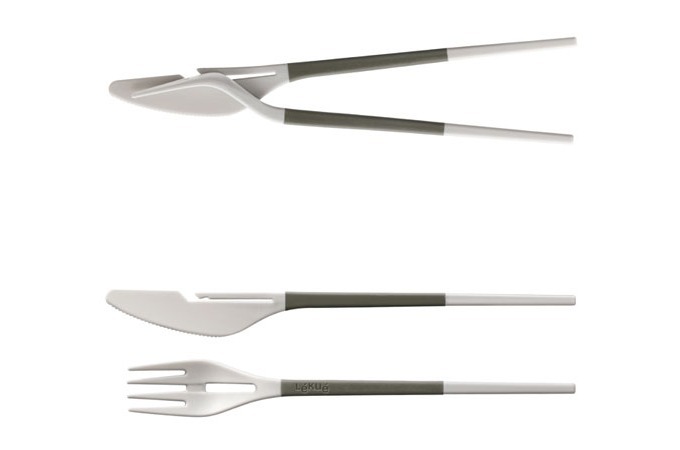 From now on you can proudly hold aloft Lekue's Twin One and proclaim to the assembled masses, "I have no need for your fork kind waiter, for I have both in one easy to use and stylish package." 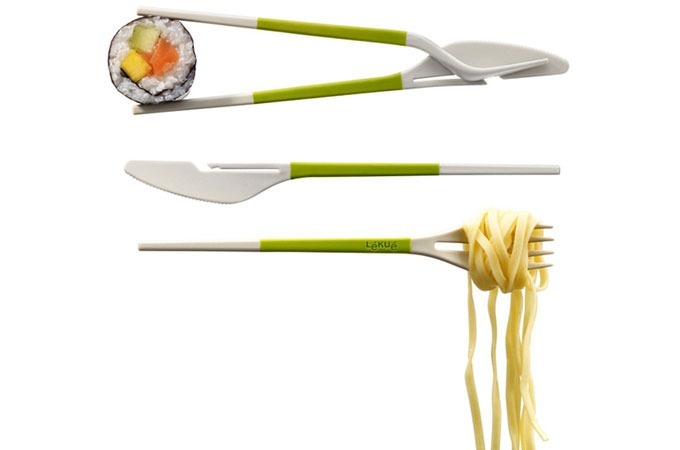 Just make sure not to use the chopstick end then switch to the knife and fork end, you'll get your hands all sticky.